A division of Stanley Black & Decker, Stanley Hydraulics is the world's largest manufacturer of hydraulic hand tools and a worldwide market leader, offering over 150 hydraulic hand tools and over 30 mounted impact tools. Stanley electric utility tools are ideal for bucket or digger-derrick trucks equipped with hydraulic tool circuits or compact power units meeting HTMA standards. 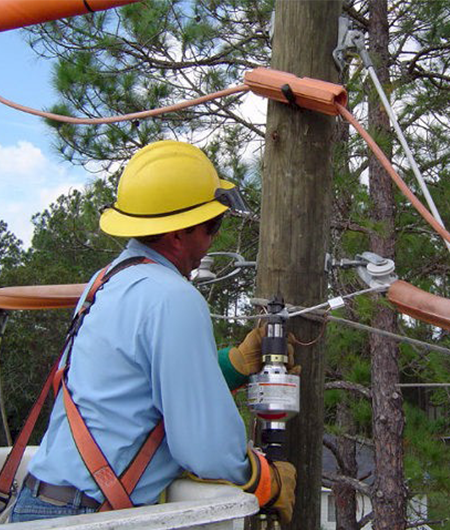 Tackle tough tasks like setting hardware on utility poles, crimping cable connections, pumping utility vaults, tamping, digging, and ground rod driving with their wide selection of industry-specific machinery. ML Utilities Services also provides hydraulic hand tool repair and rebuild solutions.